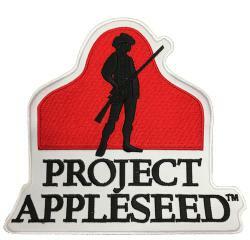 Embroidered Project Appleseed Patch. 3 inches wide. This patch would be great for your shirt, range bag or hat. 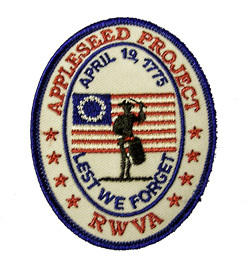 Embroidered Project Appleseed Patch. 6 Inches wide. This patch is great for shooting jackets or range bags.